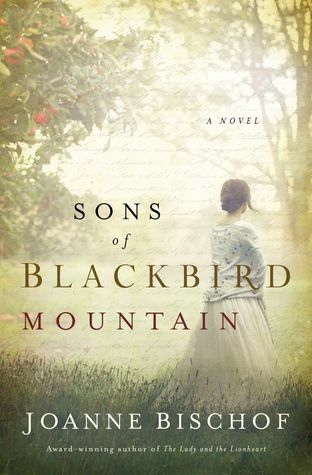 Sons of Blackbird Mountain: Blackbird Mountain #1 by Joanne Bischof was published on July 3rd, 2018 by Thomas Nelson and is a historical romance novel. When Aven Norgaard leaves Norway to serve as housekeeper to her late husband’s cousins in Appalachia, she expects lads in need of care, not three grown men—each in need of a wife and bound by a powerful brotherhood. As the men carve out a living by brewing artisan liquor, young Haakon’s pursuit tempts Aven’s lonely spirit . . . but it is his deaf brother, Thor, whose silent strength shows her the depths of real love. About the author: An ECPA Christy Award winner and an ACFW Carol Award winner, Joanne Bischof writes deeply layered fiction that tugs at the reader’s heartstrings. Joanne’s 2016 novel, THE LADY AND THE LIONHEART, received an extraordinary 5 Star TOP PICK! from Romantic Times Book Reviews among other critical acclaim. Joanne has a long-standing passion for romance and a budding fervor for theology. She is more and more awed by how wondrously the two go hand in hand. She lives in the mountains of southern California with her three children and is represented by Sandra Bishop of Transatlantic Literary Agency.